Whether it’s looking great in your jeans, preparing for a marathon, preventing a slip and fall, or learning balanced eating - we got you! For women and men – kick start or excel your fitness goals. Increase flexibility, relaxation and deepen your practice. Injury, post-op, chronic issue, or special needs. Highly specialized trainers keep you fit safely. One month to one year bridal bootcamp packages. Work out with your best friend. 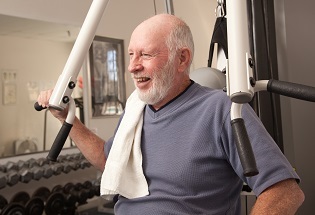 Boomers increase balance, flexibility, and strength with our specialized trainers. You’re a busy New Yorker and you want to make health and fitness a consistent part of your life… but who has the time? Sunshine or rain, winter's cold or snow - you'll never miss a workout! Brouk Moves specialized trainers meet you at your home, apartment gym, personal gym, or office to ensure you stay on track. Now that was easy! 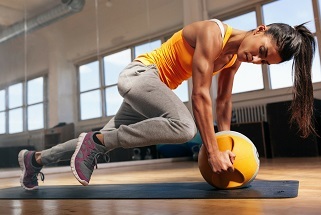 Whether it’s feeling as confident as a CEO, rocking sleeveless dresses and jeans, hitting a harder backhand, increasing your energy with your kids, preventing a slip and fall, or learning balanced healthy eating – your fitness goals and body confidence dreams are achievable with Brouk Moves Elite In Home Personal Training and Wellness. Our proven signature philosophy has helped New Yorkers get fit and stay healthy, and we design personalized programs for a range of clients. Get inspired. Read our clients' incredible success stories! Get fitness and nutrition tips that keep you motivated!